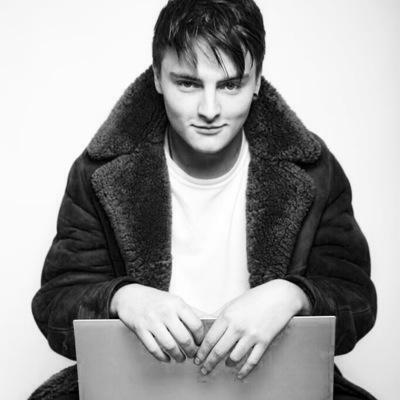 Just Celebrity was lucky enough to get an interview with James King, a singer-songwriter and Eco Schools Ambassador, all about his upcoming EP and latest environmental campaign to educate school pupils. Just Celebrity: Hi, James! For people who haven’t heard your music, how would you describe your style? Who are your influences? James: Although it’s pretty hard to put into one genre, I would say my music is a mixture of acoustic singer/ songwriter, folk and rock with a hint of pop. I have many influences, some that I use in my music and some more for the stage presence. Musically I would say I am rather influenced by Ben Howard and Keaton Henson. My other influences would be BB. King and Jack White because they are both incredible musicians. JC: What made you decide to write music to educate people about air pollution? J: Well, the reason I got on board with this campaign and chose to take on Breathe and reshape it, was and still is because of two reasons. Firstly, because the opportunity to do something good for other people with my talent is something I could never pass up on. Secondly it’s because I feel like young people need to be guided, not in a patronising way that I know better than them, but because so many people are caught up in what’s cool and how other people will view them if they care about something. Therefore if they respect me and see me caring, they may change their minds. JC: Can you tell us a bit more about the Breathe campaign and what you’re hoping to achieve with it? J: The Breathe campaign for me is something that inspires change, we are not telling anyone what to do but merely asking them to think about the environment they live in. We are hoping to achieve awareness about environmental issues, it is essential for people to know and care a little bit more for where they live. JC: What was your favourite part of the Eco Schools tour that you did with Keep Britain Tidy? J: I would say my favourite part is how much we were embraced by students and teachers alike, I come away from most of the schools knowing so much about topics I’ve never even heard of. It is nice to be openly appreciated for what we are doing. JC: You must be excited about your first EP coming out in July. How do you decide which songs will be featured on it? J: I literally can’t wait! The team and I have been running around trying to get everything sorted for the release, even when we are still so busy with live shows and other stuff. Well, my family had little bit of a say in it, they wouldn’t stop telling me that I needed to have a song that I wrote called ‘Neverland’ on the EP, but mostly I decided by seeing which songs fitted best together and I picked the songs I really liked. JC: Besides environmental education, what other aspirations do you have for your music? J: I have a few aims, the first is that throughout my career I would like to write and perform my own songs and not get someone to do it for me. I feel that if I get someone else to do it, it’s not really my song and a bit lazy. Another aim is to go on tour with my own music, preferably abroad (it feels more exotic) but I would be extremely happy to tour the UK too. Lastly is to have a fan base who appreciate me for me and my music, not my image and who I’m dating. JC: Do you have any advice for people who want to get more involved with environmental conservation? J: I would say, be open to other peoples views and opinions, not everyone is open to change and so allow people to get there on their own. Also remember no task is too big or too small, don’t get lost in overthinking something and then talking yourself out of it. JC: Thank you for your time, James, and good luck with the campaign!